If you've been waiting for a Microsoft Surface tablet with more storage capacity, today is your day. Boasting a terabyte of storage, a Core i7 processor and 16 GB or RAM, the 1TB Core i7 Surface Book and a 1TB Surface Pro 4 may appeal to you if you're looking a serious laptop replacement. Along with the upgraded devices, the company also announced a new gold-colored Surface Pen. 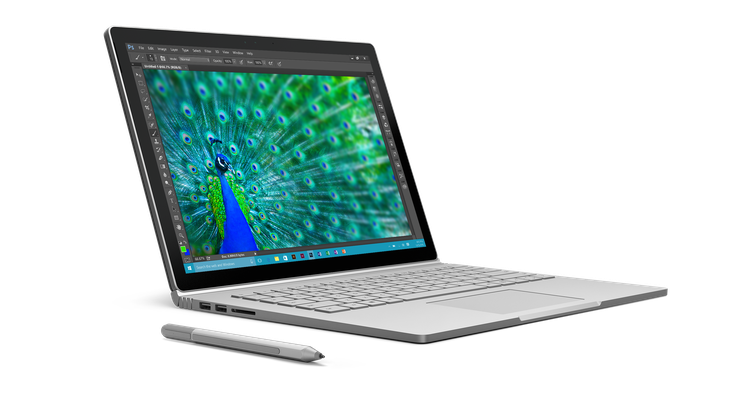 The Surface Book, which was released last year, is the company's first attempt to produce a hybrid device that is more notebook than tablet. Meanwhile, the latest Surface Pro 4 is the latest iteration in the company's increasingly popular Windows 10 tablet lineup. The Surface Pen, which is included with both devices, offers no new features beyond being gold. It still has 1,024 levels of pressure sensitivity and works with the customizable Surface Pen Tip Kit. 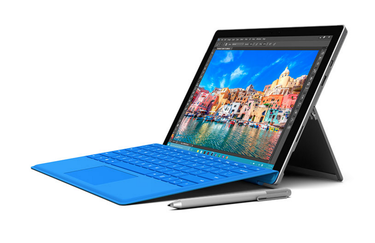 These new high-powered Surface devices are on sale in the United States and Canada. The new devices can only be purchased online and at select retailers, but they will cost you a premium. The 1TB with a 6th generation Core i7 Surface Book retails for $3,200, while the same version of the Surface Pro 4 starts at $2,700. Purchased separately, the Gold Surface Pen retails for $59.99 and is available in the United States, Canada, Denmark, Finland, Italy, Norway, Poland, Portugal, Spain and Sweden starting today. The pen also comes with the additional Pen Tip Kit, if you purchase it separately from the Surface device. With the Pen Tip Kit, you can get a range of different tips for a more natural writing and drawing experience. Other colors already available from Microsoft include the original silver color as well as black and navy blue. In other Microsoft news, the company announced a recall of its Surface Pro power cords, allowing you to trade in you power cord for a new one. 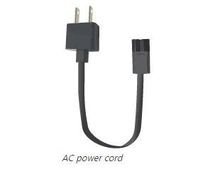 According to a blog from Microsoft, while there aren't any imminent safety concerns, "If the cord is wound too tightly, twisted or pinched over an extended period of time there is a potential risk for the AC cord -- the cord that connects the power supply unit to the electrical socket -- to overheat." The recall specifically applies to AC power cords for the Microsoft Surface Pro, Microsoft Surface Pro 2 and the Microsoft Surface Pro 3 devices sold prior to March 15, 2015. The recall excludes the Microsoft Surface RT, Microsoft Surface 2, Microsoft Surface 3, Microsoft Surface Pro 3, Microsoft Surface Pro 4 and the Microsoft Surface Book devices sold after March 15, 2015. The recall also does not include any DC power cords for any device, or the AC power cords for docking stations for any of the Surface Pro devices or the Surface 3.